Baby will you be there when the morning comes? Baby will you be there when I open my eyes? Backstreet Boys is the second self-titled album by the vocal-pop group Backstreet Boys. The first was their 1996 Backstreet Boys, which was not released in the United States. This second self-titled album was released in 1997 and was their debut album in the country. It became one of the most successful debut albums of all time. The album peaked at #4 on the Billboard charts and has been certified 14x Platinum (Diamond) by RIAA for sales to retailers. This was also reported as the second highest seller in the past 14 years for Music Club sales back in 2003, selling 1.72 million units. 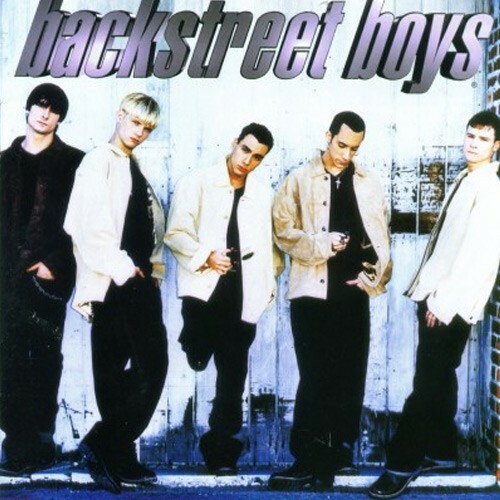 Together with the international release Backstreet's Back, this sold 32 million albums worldwide. This album is a collection of tracks from Backstreet Boys' first and second international albums, 1995 Backstreet Boys and 1997 Backstreet's Back respectively. The album was released in 1997 to coincide with Backstreet's Back. Also both albums share basically the same cover, only with slight differences.